Get to know Vitória Bus Station and book your tickets online! Covered Areas From Vitória Bus Station the buses go to the Northeast, Southeast and Midwest of the country. 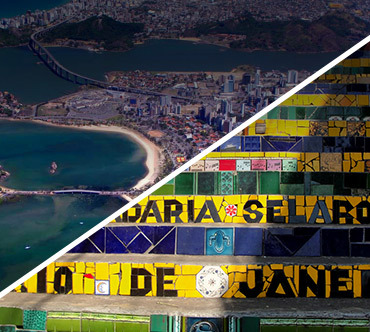 They reach the states of Sergipe, Espírito Santo, Minas Gerais, Rio de Janeiro, Bahia and Distrito Federal. The main bus lines that leave from Vitória Bus Station are: Vitória x Belo Horizonte, Vitória x São Paulo, Vitória x Rio de Janeiro and Vitória x Salvador. About Vitória Bus Station Opened in 1979, Carlos Alberto Vivácqua Campos Bus Station, most known as Vitória Bus Station is the biggest bus terminal of Espírito Santo state and receives about 8 thousand passengers a month. 28 bus companies attend the station and operate intermunicipal and interstate routes. Bus companies as Águia Branca, Itapemirim, Catarinense, Cometa, 1001 are the most important that operate at the terminal. Águia Branca Bus Company have a VIP room with air conditioning, comfortable seats, tv, water and coffee at the terminal. Working hours: 24 hours How to get there The bus station is located right in the entrance of the city for those who come by the Second Bridge. You only have to follow Costa e Silva Bridge and take Elias Miguel Avenue. 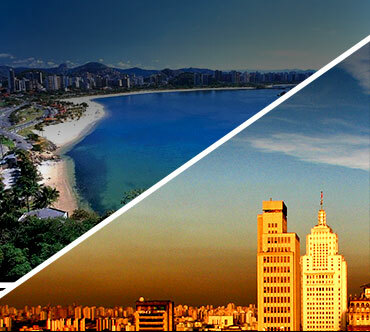 Those who chose to reach by public transportation may see the best options at http://www.ceturb.es.gov.br/. Main bus lines to Vitória Rio de Janeiro x Vitória, São Paulo x Vitória, Belo Horizonte x Vitória and Macaé x Vitória. The bus station have cafes and bombonieres. Open 24h, costs from R$ 1,15 until R$ 119. Ready to receive passengers with reduced mobility, the bus station have ramps and adapted restrooms. Open from Monday until Friday, from 8h until 18h. Open 24h, costs between R$ 7 and R$ 18. 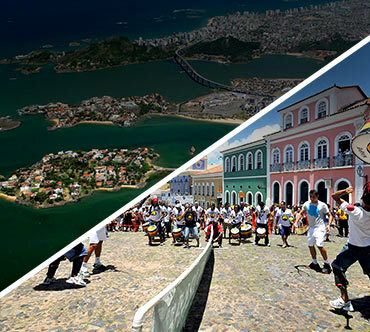 Best known for business trips thanks to Petrobras office, the city also has great entertainment options for those who want to tour. 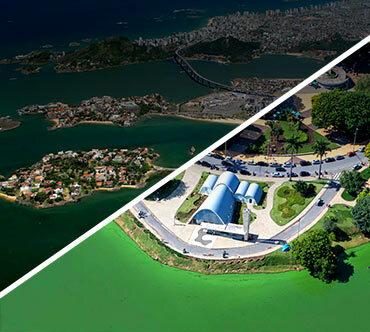 The coast is interrupted by the Vitória and Tubarão harbors, but is possible to walk and swim in places like Camburi Beach, that has a beach promenade with bike lane and kiosks. The food is also great, and the best places are at Goiabeiras neighborhood.